One of the best fringe benefits of this job is to make friends with some really amazing couples I never would have known otherwise. The day we met Elise and Nick, we knew this would be a lasting friendship. These two are proud geeks, and we share some of the same loves. 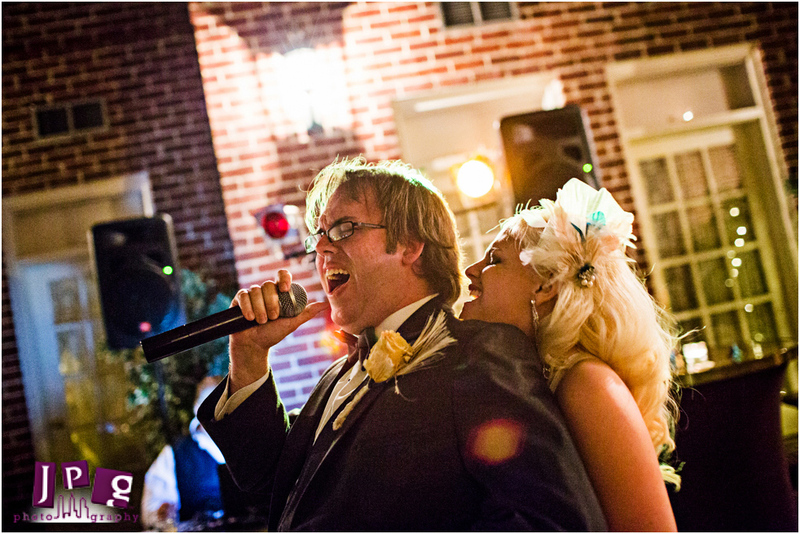 On their wedding day at the Historic Inn of Annapolis in Annapolis, MD, they didn’t disappoint. The day began at the Capistrano Barbershop in downtown Annapolis, where Nick and his guys had a professional shave. Nick used to have long hair (you can check out their engagement shoot here) but cut it off for the wedding, looking very suave. As a gift, he gave all of his groomsmen cufflinks that matched their personalities. 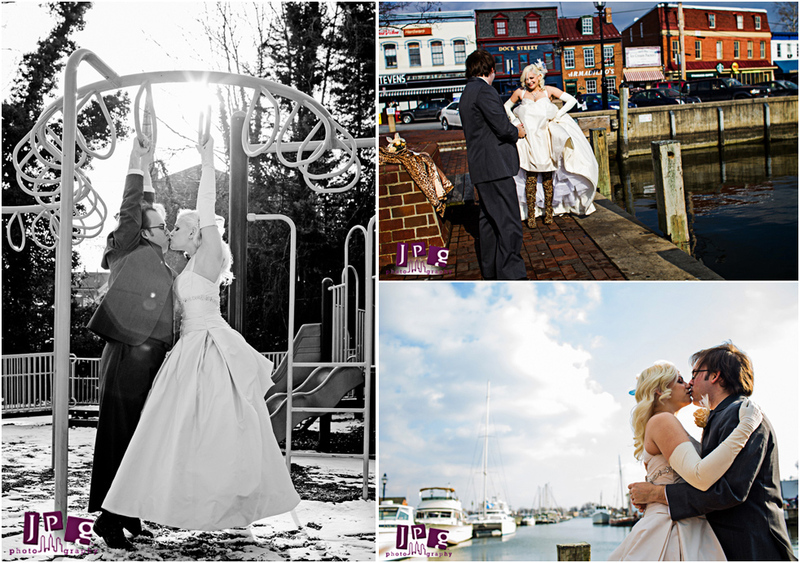 Despite the winter chill, the couple had their first look outside at the harbor. Elise braved the cold in her bleach-blonde hair, leopard print coat and long leopard print boots (one of six pairs of shoes for the day). This girl has her own style and rocks it out! We headed to a snow-laden local playground for some couples shots–these two know how to have fun together. Of course, we knew this already: Elise is a competitive roller derby girl, and for their engagement session, we went roller skating! It was easy to see where these two get their pizzaz. At the playground, Elise’s dad put a penny in her shoe, which is a family tradition of theirs for good luck. And at the ceremony, after the handfasting and an awesome first kiss, Nick’s dad called out “Is that all you’ve got?” so Nick went in for a second, more extravagant kiss (and no one was disappointed!). 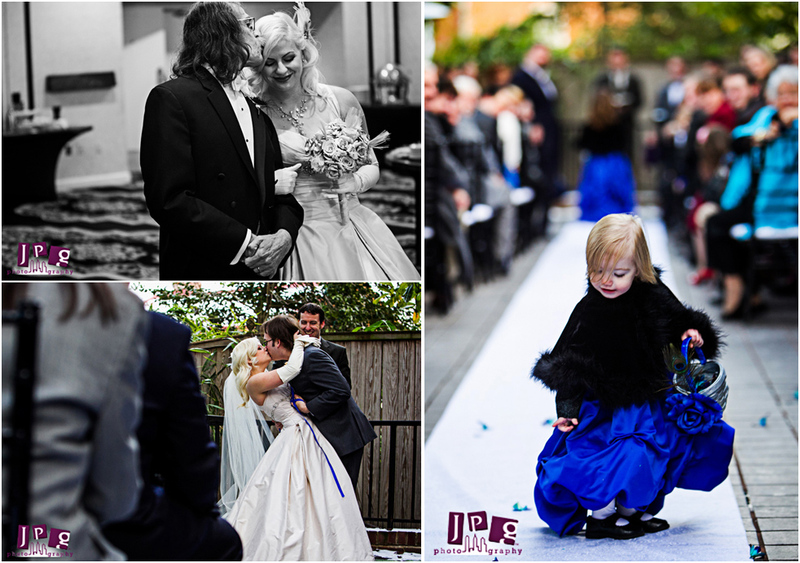 The crowd lovingly braved the elements for Elise and Nick, who decided told hold their ceremony outdoors in January. 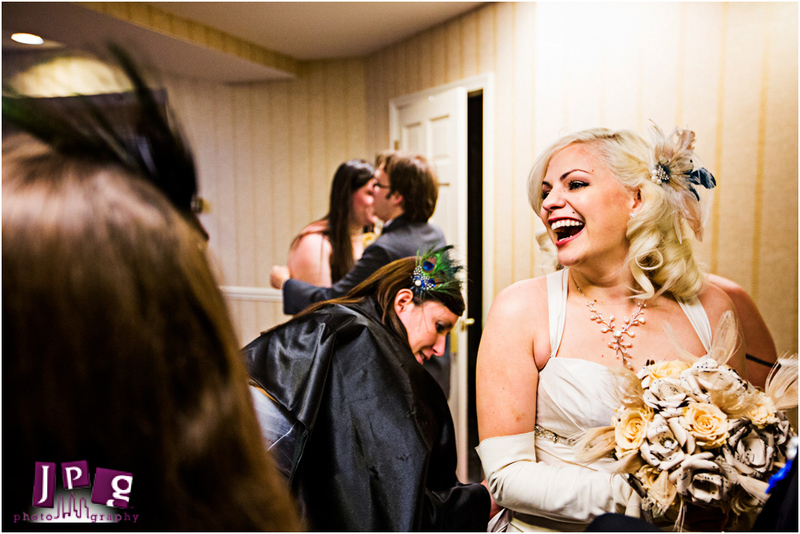 The reception was filled with moments of joyous laughter and tender emotion. Elise’s parents asked the DJ to play a lullaby they had sung to her as a little girl, and Nick and Elise serenaded each other with karaoke songs. 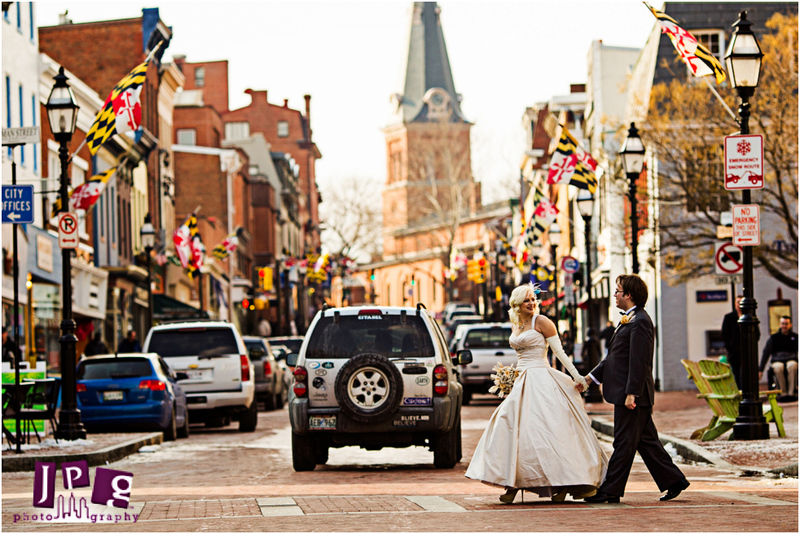 Afterward, the wedding party carried the celebration out into the Annapolis night! 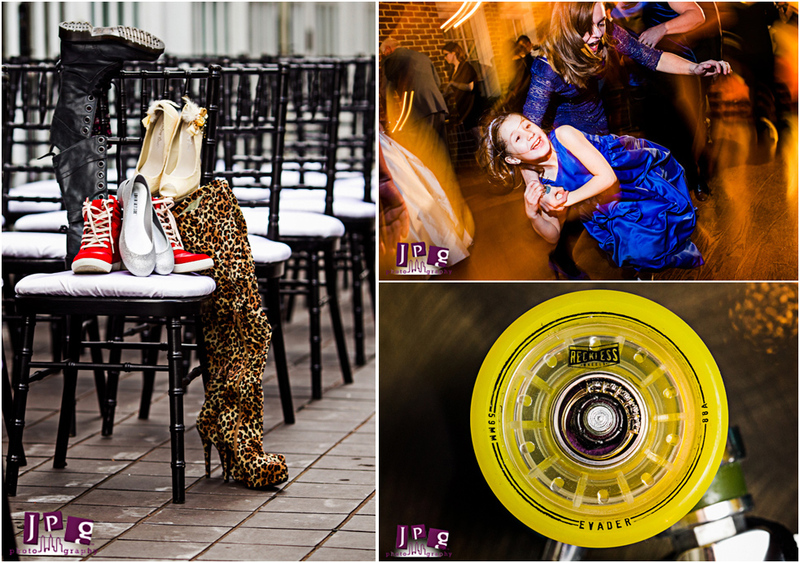 I had such fun shooting this wedding. Almost as much fun as I had at the NASA visit Elise arranged for us! It was one of the best gifts a client has ever given us. 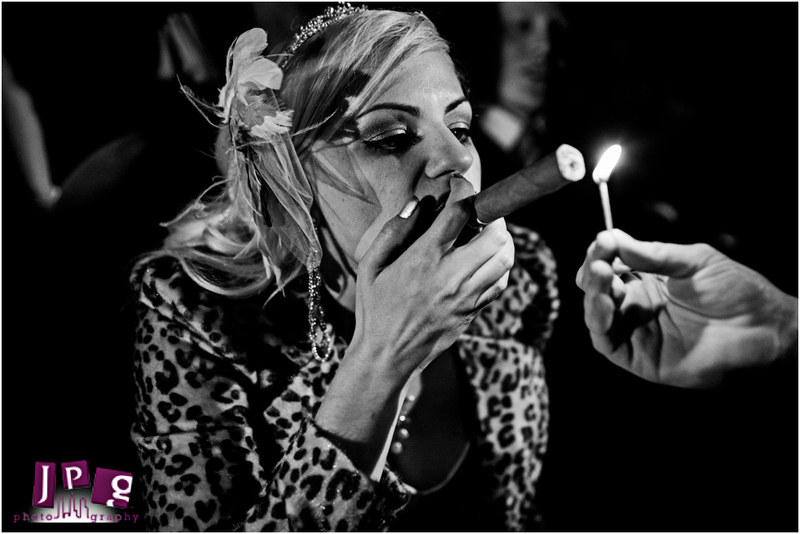 Thanks, Elise and Nick, for allowing us to be with you and capture your personalities as they showed through on your wedding day.